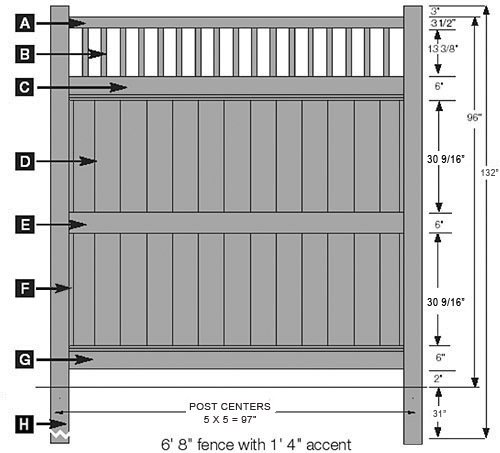 Bufftech Galveston Vinyl Fence Sections - Victorian Accent | Hoover Fence Co. The Galveston w/Victorian Accent style offers 7" tongue & groove pickets in a section that provides excellent privacy in height of 8'. Height includes lattice panel. Top accent rail measures 3" square. 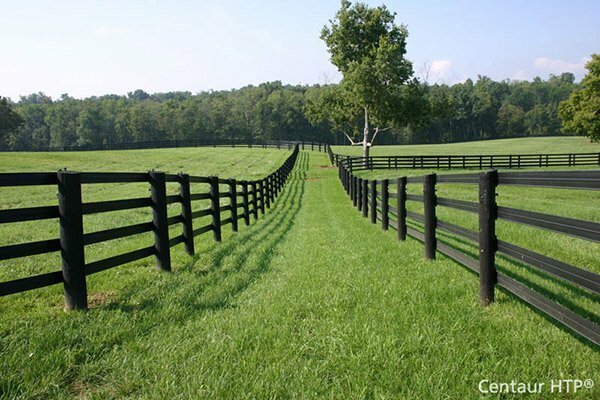 The tongue & groove pickets prevent gaps from showing if the fence section should shift in time. Uses a middle rail as shown here. Reinforcement steel rails in all three vinyl rails to keep the section from sagging. 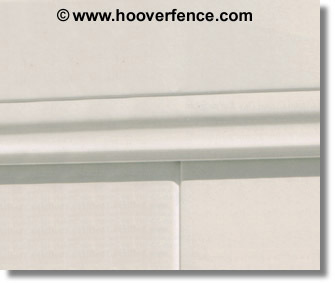 "Classic Curve Deco Rails" on top and bottom add to the attractive appearance while making installation easier. These features make the Galveston style one of the sturdiest and best privacy styles available. Sections include rails and pickets. Posts and post caps sold separately. Note: The top accent rail of this style changed from 3x3 to 2x3.5 in 2009. The posts, pickets, and the channels around the lattice panel also changed at this time. This style will no longer match the Galveston with Victorian Accent style purchased before 2009.